I’m intrigued by this dramatic retro-style tile flooring, done in black with white trim. 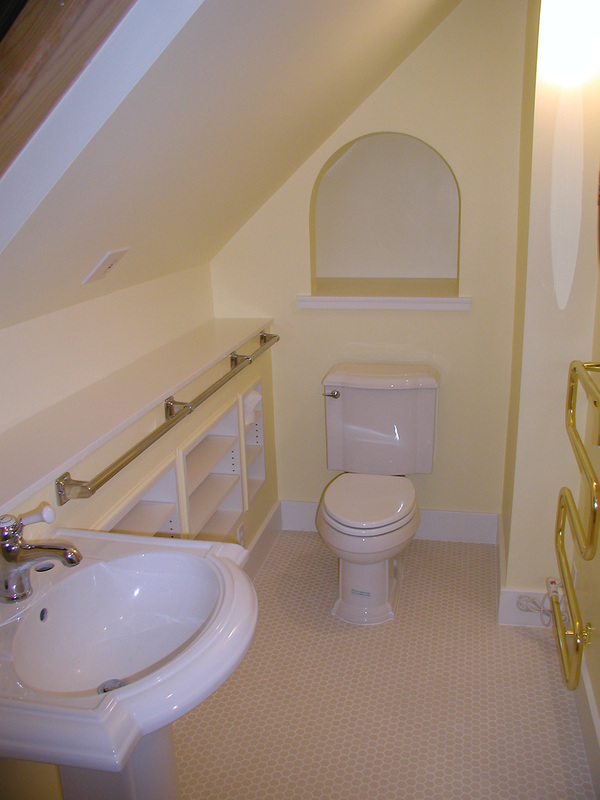 We’ve renovated many bathrooms all over Whatcom County. Here are a few of our recent projects that showcase custom built bath vanities, solid surface vanity tops, tiled showers and flooring. 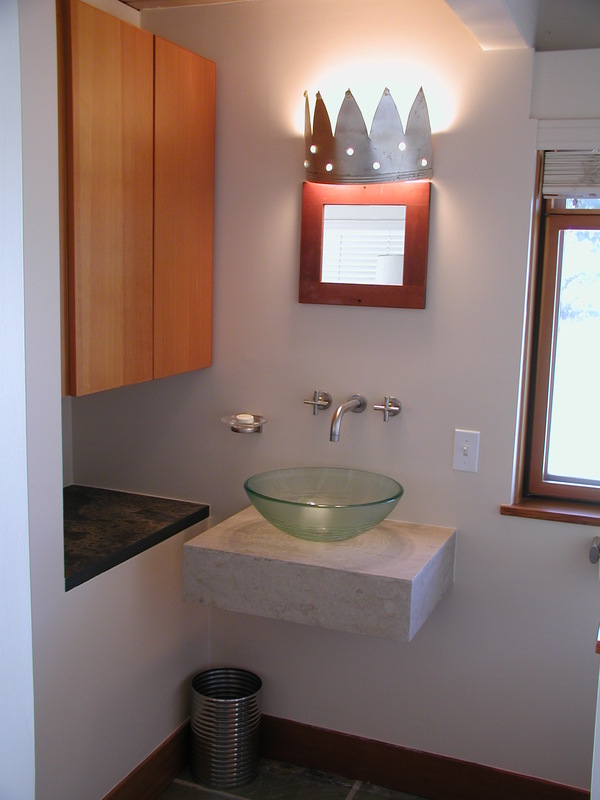 Remember that you can be creative and unconventional in your bath remodel – it is for you, after all. 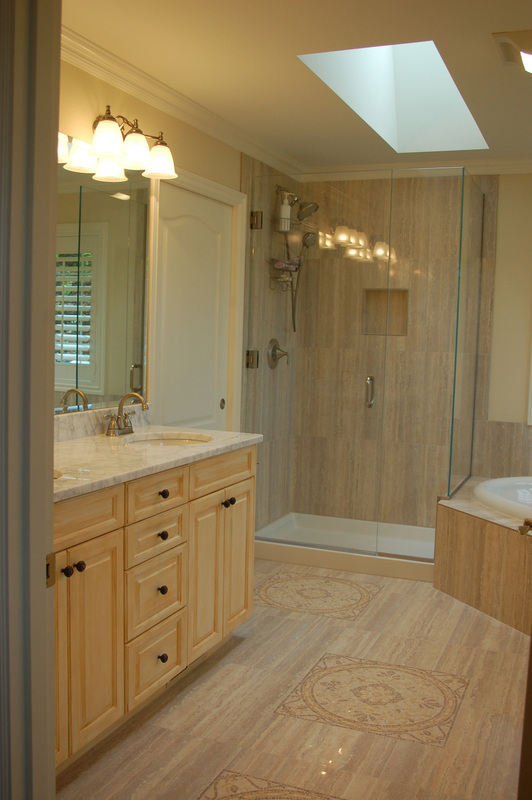 The following information is excerpted from Bill Howe, Bathroom Remodeling, San Diego. 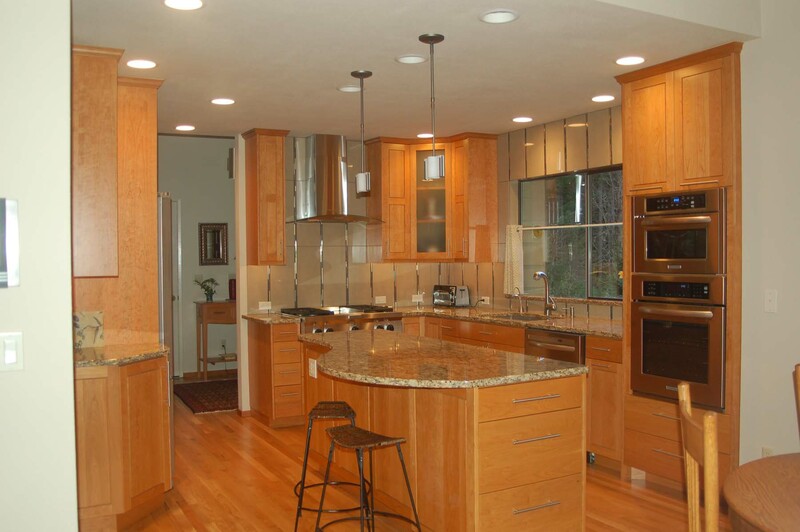 This is oue entry for the $30 – $60,000 category kitchen remodel that Rose Construction won a Whatcom County NAHB REX award for. To achieve our client’s main objective to open up the space between the kitchen and dining areas, we completely remodeled this 1979 kitchen. The new design included widening passageways and installing new white-oak flooring between the two areas, creating a more modern look and flow. 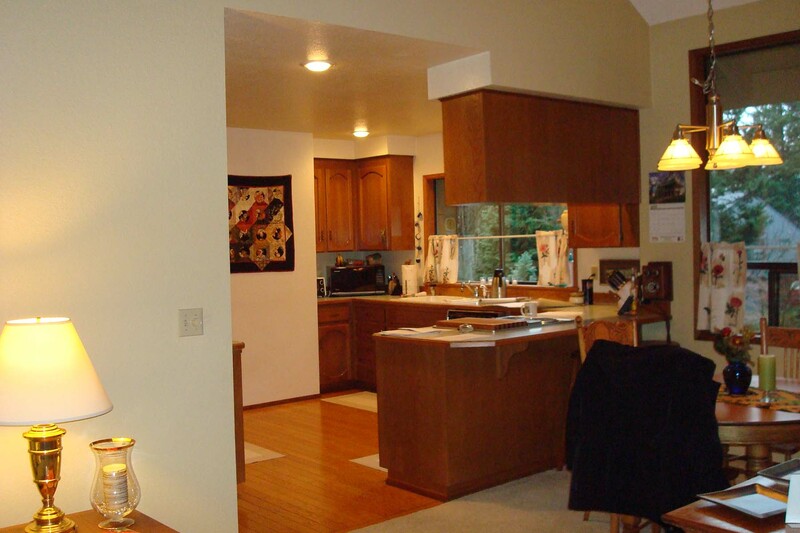 Additionally, stainless steel appliances, custom cherry cabinetry and granite countertops with an under mount sink were installed to improve the modernization. The 12” by 24” polished tiles with a multi-color mosaic pattern were installed vertically as a backsplash to highlight grout lines and complement the new finishes. 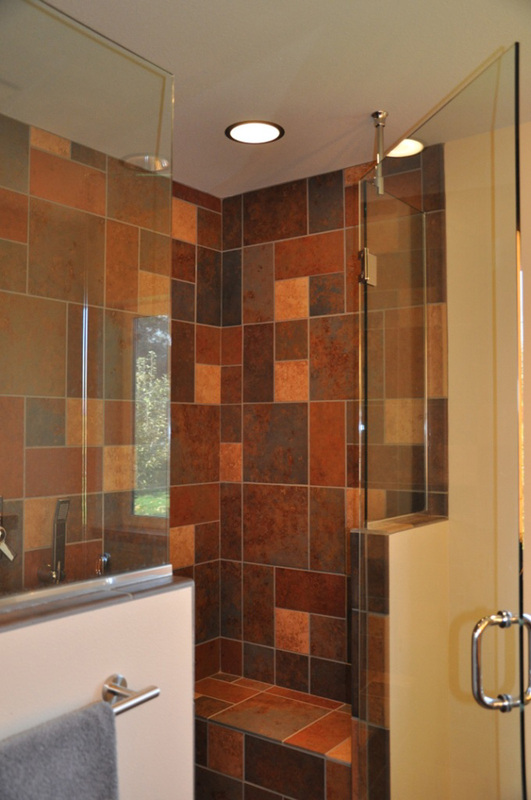 You’ll love this shower tile! 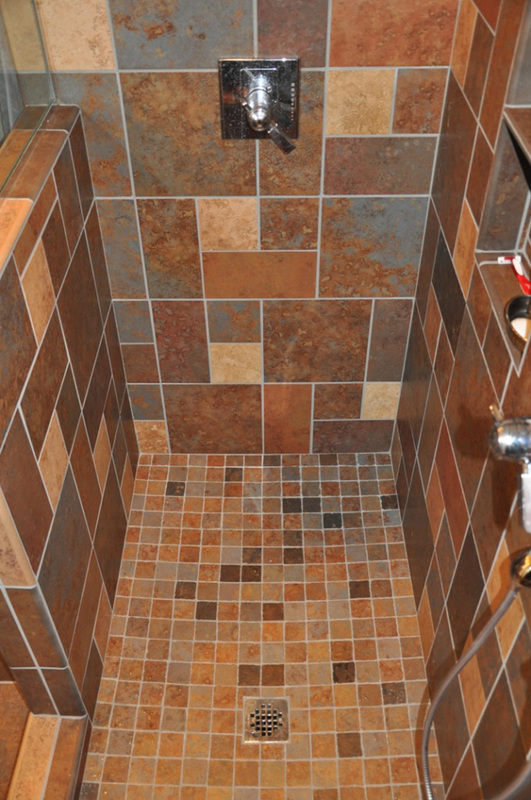 This shower will greet you with a pleasant, warm feeling before you even step into it. 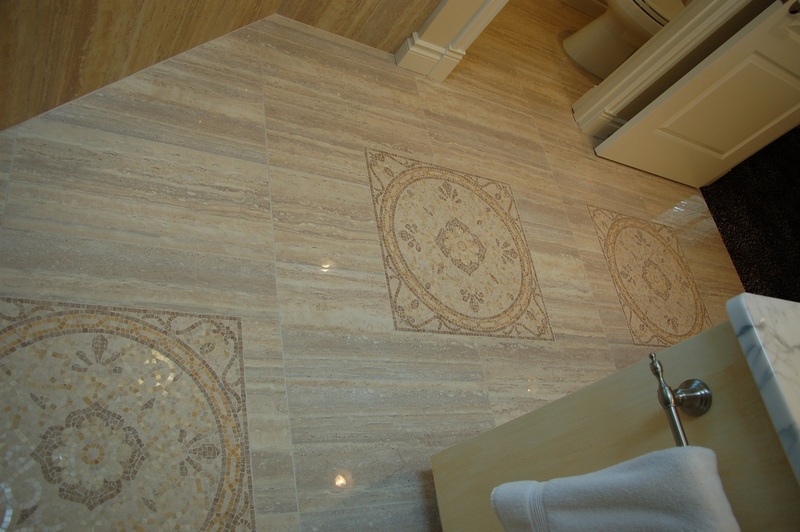 The earthy tones and large will tiles contrast with the creamy tones of the smaller, lighter floor tiles. 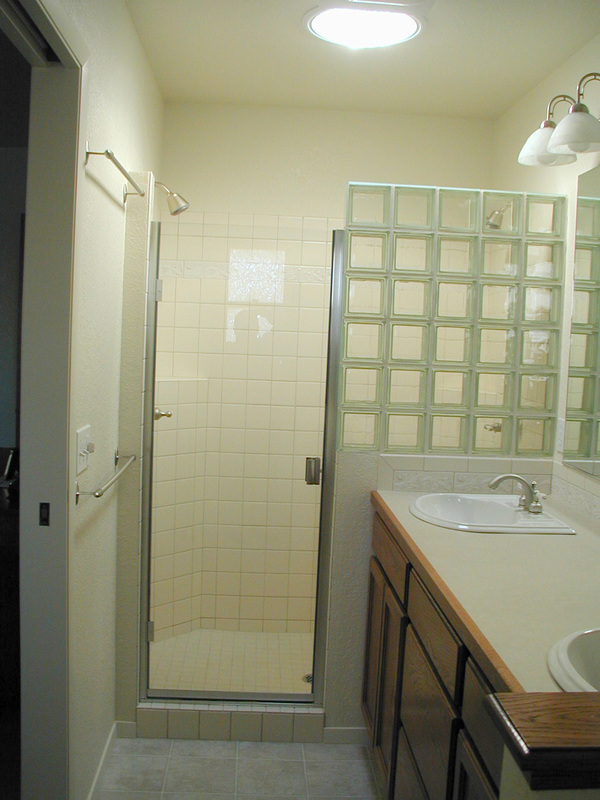 Keep checking out all the showers and bath designs as you look for the perfect master bath!